This summer, we’re looking to spend as little time out of our lounge chair as possible. So, when going from a day spent at the beach to a night on the town, we want a hairstyle that’s quick and easy, but still looks like we put some effort in. 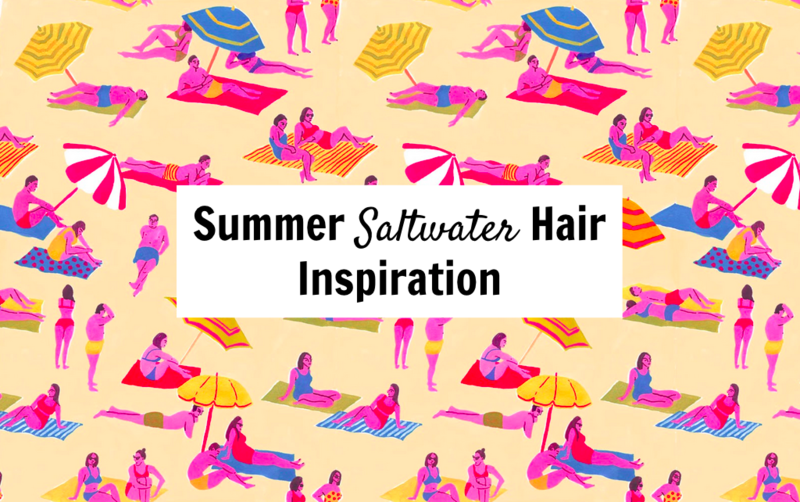 In today’s newsletter, we showed 3 looks we’ll be wearing all summer, all of which are only enhanced by salty hair. 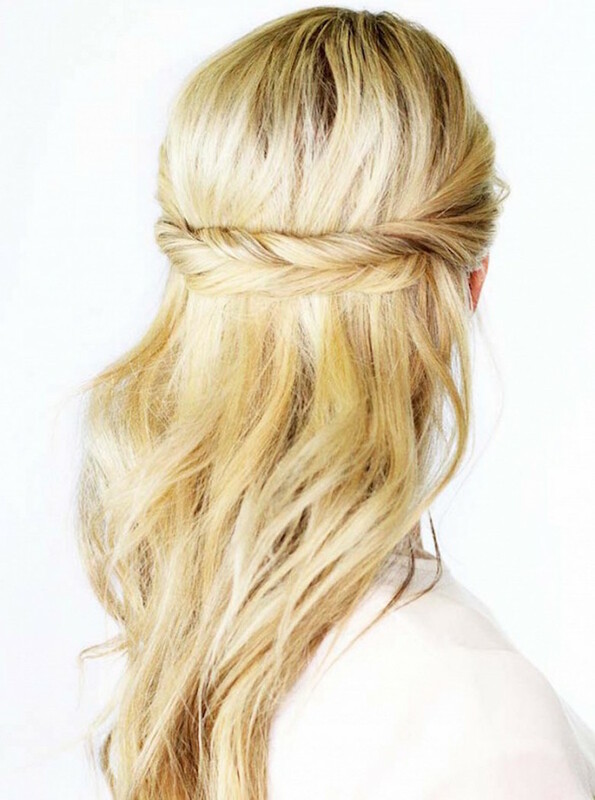 This look by Amber Fillerup of Barefoot Blonde is a take on the waterfall braid that looks much more accessible. Braid the side of the head in a “waterfall” style and, once you’ve reached halfway, braid normally until complete. Use the best sea spray there is and scrunch some ocean water in the ends of your hair for texturized waves. This twist is one of those looks that seems complicated but is actually quite simple. Pull the front sections of each side of your hair back and twist. Use bobby pins to pin the left side on the bottom and then the right side on top. Tuck the tail of the right twist underneath the left twist and you’re done! Finally, in the most complicated look of the bunch, loosely French braid the top section of the right side of your head. Secure with an elastic and repeat on the left. Remove the two elastics and braid the two braids together, incorporating a third section of hair to create a braid. Embrace the messiness and natural texture to this look – it’s not supposed to be neat! 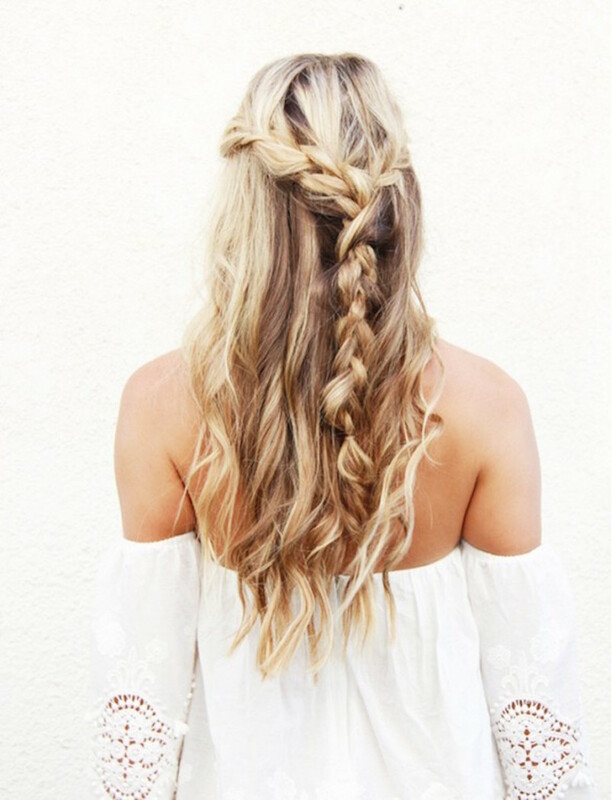 Ooo- I love the semi-waterfall braid. I wonder if that’ll look as cool on brunettes? I’ll have to try!